Join us, the Dissegna family; Dino, Diana, David, Monica, Michael and Amy, in enjoying fresh quality food. Since 1963, our family have been farming at Westlands, Benerembah, 20km west of Griffith, in the Riverina, N.S.W. In 2008 we introduced Dissegna Premium Family Produce, marketing and selling our own home grown produce, with Extra Virgin Olive Oil, prunes, Borlotti beans, and seasonal home made jams. 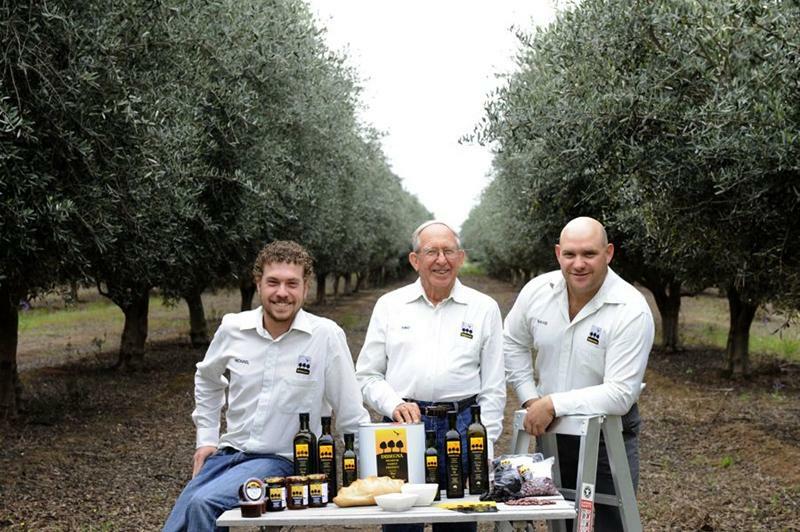 We take pride in delivering superior quality Extra Virgin Olive Oil and traditional home-style products. With fresher, richer flavours - from the unique fruity taste of our Olive Oil to our freshly made gourmet offerings, we are combining natural growing principles with cutting edge production. The Dissegna family produces a range of superior quality extra virgin olive oils, dried prunes and Borlotti beans, they're grown to a highly sustainable level, incorporating biodynamic principles, resulting in fresher, richer flavours. Enhance the flavour of your table with our range of 100% Australian, Dissegna Premium Family Produce. Extra Virgin Olive Oil is renowned for its health benefits; it is rich in vitamins A, D, & E. It lowers low-density lipoproteins (bad cholesterol) and raises high-density lipoproteins (good cholesterol) levels. 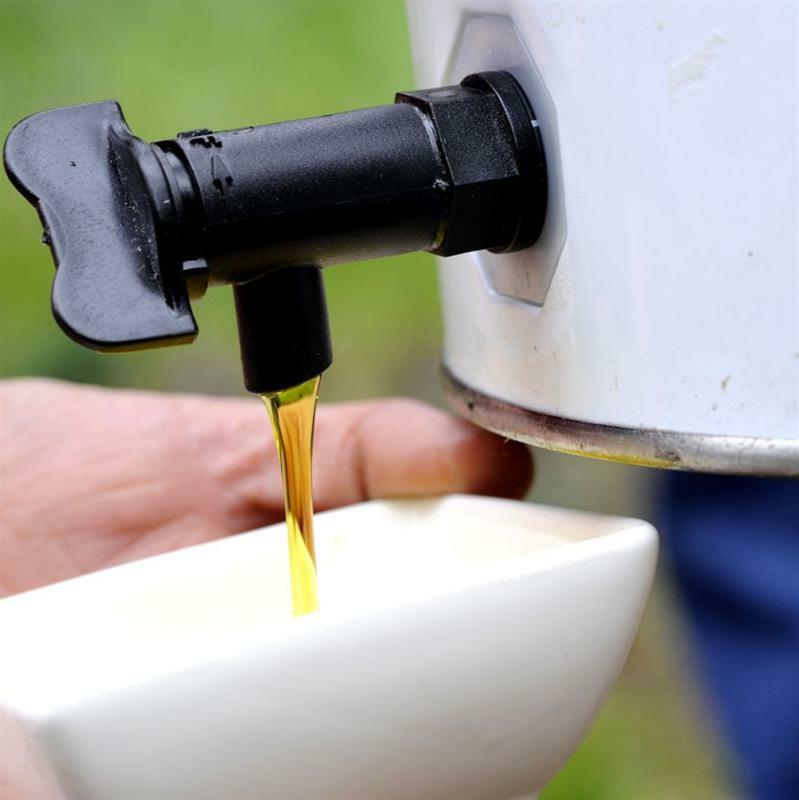 Its high oleic acid content protects the heart and arteries. It s a luxury you can enjoy without the guilt. Olives and olive oils are used in a wide variety of products including medicines, soaps, cosmetics, and of course a large range of food products. 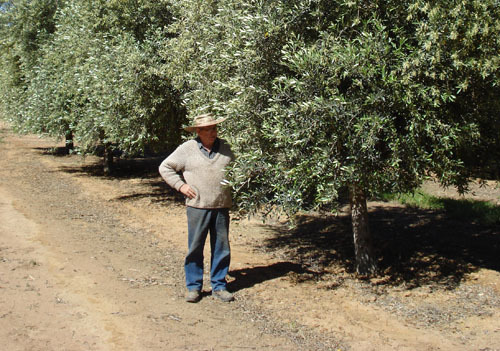 Our grove nestled amongst the undulating sand hills in the tranquil landscape of the Coleambally region in the Riverina, noted for its Mediterranean style climate; make it a perfect location to establish an olive grove. 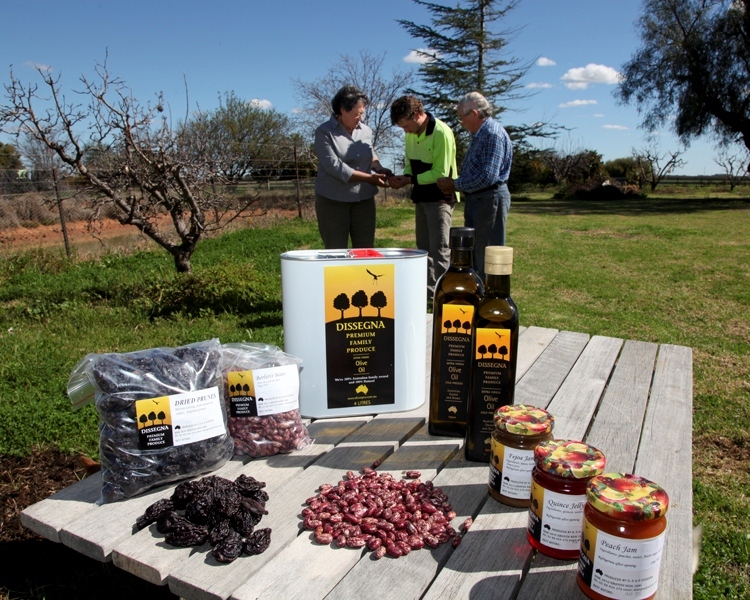 The varieties of olives we grow, Frantoio, Correggiola, and Manzanillo, are ideally suited to the Riverina s climate, with long hot summers and cold winters, allowing us to incorporate natural growing practices, thus eliminating the use of insecticides. This gives us the freedom to develop our grove to highly sustainable levels. Our olives are harvested, crushed (utilising state-of-the-art cold extraction equipment) and put into storage, all within 24 hours. This guarantees you quality and more importantly great tasting Extra Virgin Olive Oil; the delicate sandy soils, ideal climate, and cutting-edge cold extracting techniques, combine harmoniously to deliver our Premium Extra Virgin Olive Oil its unique light and fruity taste. We strive to ship our orders the same day if placed before 10:30am (Excluding public holidays & weekends), however if we are unable to ship the same day, your order will be sent the next available day. It is your responsibility to notify us if your order does not arrive and we will lodge an enquiry with Australia Post.Â We will not be held liable for any loss or damage resulting from late delivery. We strive to keep our stock levels uniform with what is available, however, if you manage to catch us between stock level updates, we will contact you to happily offer a refund, different item or send it as soon as it comes into stock. It is your responsibility to enter the correct delivery address/details at the time of ordering. In the case that the order is unable to be delivered and is returned, you will be liable for re-shipping charges. Whilst we aim to satisfy our customers, unfortunate events can happen. In the event that you find the produce not up to standard, please contact us immediately. You may be either required to return the product or send further information (photos etc.) before your refund/replacement takes place. We may offer replacement or refund only within 14 days of shipping and may not replace goods that arrive physically damaged from shipping. All shipping charges must be paid for by the customer.Â Refunds not available if you simply "change your mind". Adequate details must be supplied when enquiring about a refund, including but not limited to; date of order, order number, contents of the order and your contact information. We Don't Deliver to Your Area Yet..